We cover Birtley, South Shields, Sunderland, Hebburn, Jarrow, Gatehead, Newcastle, South Tyneside and the surrounding area. You can book a block of lessons to benefit from special pricing and even an intensive course if you wish. 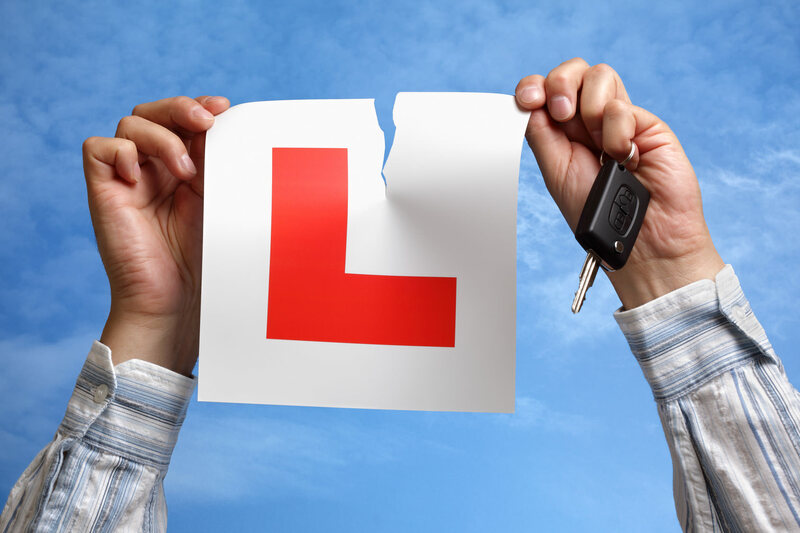 We can help with more than your driving test. We offer help with theory, night driving, motorway driving and more. 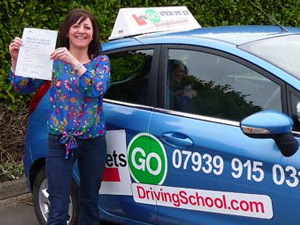 A big hello and a warm welcome to Letsgodrivingschool. First of all thank you for taking the time out to visit our site. Our fully qualified instructors offer you the very highest standards of professional tuition. At Letsgo each lesson will be structured to your needs and goals. Each lesson will begin with the subject that is going to be covered, followed by a recap. We now look to what our objectives and aims are for the lesson. At the end of each lesson we will do a debrief about what has been achieved as well as the knowledge and also the skills that have been gained along with any points that need to be discussed and what the following lesson will be covering. We at Letsgo offer beginners courses and intensives as well as also Pass Plus with our registered Pass Plus instructors. Our aim is to offer a friendly, patient and reliable service. 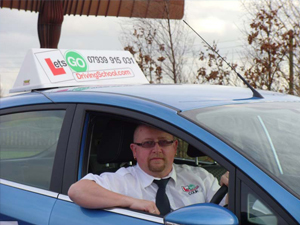 Having an excellent pass rate we cover a large area from Birtley, South Shields, Sunderland, Hebburn, Jarrow, Gateshead and Newcastle, South Tyneside and surrounding areas. We hope you enjoy looking at the rest of the site so you get an idea of the things we have to offer and the comments we have received from pupils who have already passed with us. We cover a large area from Birtley, Sunderland, South Shields, Hebburn, Jarrow, Gateshead and Newcastle, South Tyneside and surrounding areas. Are we Pass Plus Registered? Yes - we are Pass Plus Registered Instructors. Please contact us for more information about our advanced Pass Plus driving courses. Do we offer block bookings? Yes we do. You can book a course of lessons for 10, 20, 30, or 40 hours and this is a very cost effective way of budgeting for your driving lessons. Do we offer intensive courses? Yes - for those people who want to learn to drive and take their test quickly with a high pass rate using quality driven instructors we offer intensive courses with 10, 20, 30, and 40 hours of tuition delivered over 1, 2, 3, or 4 weeks. Do we offer motorway driving courses? Yes. We have instructors who are available to give you the knowledge and confidence to drive safely on the busiest roads in the UK. Do you offer night time driving courses? Yes we do. Driving at night requires some slightly different skills and our capabale instructors can help you to develop your night driving skills for your additional safety and that of other road users. We have many years expertise in instructing students to drive but we are also able to help with the theory part of the test as well. A true professional that has not only a very high percentage of pass rates but a low minor rate for those who do pass,this high standards are due to Colin insuring that only people who are completely ready to drive and are safe can take there test. This shows that not all young drivers are dangerous drivers because of the work and effort Colin and his company 'letsgodrivingschool 'puts into each one of the customers. I passed my driving test first time and with only three minors which i couldn't be more pleased about,this is all down to the time and effort colin put into our lesson to insure i was safe and ready to join the motoring world. When starting driving i was very nervous and self critical. Colin made me feel relaxed and comfortable and allowed me to progress at a pace that was right for me. Not only has Colin taught me to drive he has taught me to be a very safe and considerate driver. He is a fantastic instructor and would recommend him to anyone !! Just to say a huge thank you for getting me through my driving test,first with three minors ......how amazing is that! !Honest i was someone who had no interest in driving,but had to do it for my new job.At 44 i was a nervous wreck and probably so were you a lot of the time.i must say,you have the' patience of a saint',and always very professional.........especially putting up with my 'ridiculous behaviour' when having my frequent 'dippy days'. Your calm approach instantly put me at ease and i know for a fact that i wasn't the easiest to teach! Colin you real are a 'star',i only wished i'd done it years ago. I would highly recommend you; in fact i already have, so let's hope she's not as dippy as me!A million thanks again for unique approach. Copyrights © 2015-2019 Let's Go Driving.